We are one of the trusted manufacturers of propane, LPG, natural gas kits for generators (Petrol, gasoline). These kits such as vaporizer for generators, LPG kit for generator etc., are available for use in both four stroke three wheelers and two wheelers. 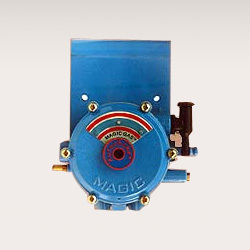 Available in compact size, these are known for higher fuel efficiency and performance. We also customize our range in line with the client’s specific requirements. We cater to the requirements of automotive industry, with our quality range of vaporizer for generators and small engines. Capitalizing on our advance technology, we design these vaporizers for small engines, which generatesmall manifold vacuum while starting. The primary pressure reduction in these vaporizers is done with the help of pressure regulator (maximum output pressure = 0.15 Kg/sq. cm.) that is fitted on top of the domestic LPG cylinder.